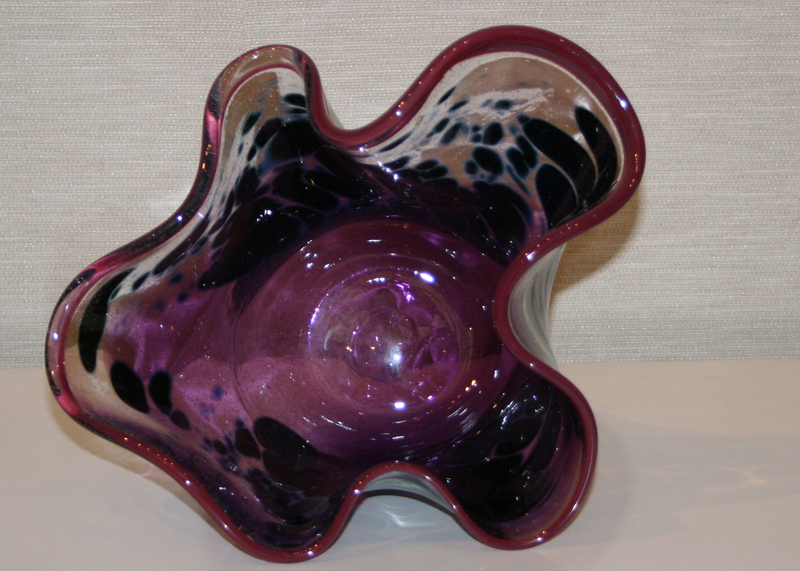 Alyssa Canfield, a Liberal High School (Liberal, Kan.) student, earned top honors for her glass entry “Purple Pendengo.” Her Best of Show piece was one of almost 80 entries into the annual juried high school art competition sponsored by Coastal Bend College. Emily Bayouth, also of Liberal High School, earned first and second place for her glass entries, “Orange Julious” and “Red Dwarf,” consecutively. Courtney Whitney of Three Rivers High School won first place for her collage entitled, “Branches of a Tree.” Samantha Kenedy, also a Three Rivers High School artist, earned first place for her pastel, “Coral Reef.” Three Rivers High School student Dannelle Gentry was awarded first place for “Colors of the Heart,” a watercolor painting. The award-winning student work is currently on display in the Simon Michael Art Gallery in Coastal Bend College’s Frank Jostes Visual Arts Building in Beeville. The show will run through March 10. The gallery is open Monday through Thursday, 8 a.m. to 4 p.m. Some high school art competition winners are offered scholarships to study art at Coastal Bend College. Winners sorted by school follow. For more information about the Simon Michael Art Gallery at Coastal Bend College, contact Jayne Duryea at (361) 354-2322 or duryeaj@coastalbend.edu.